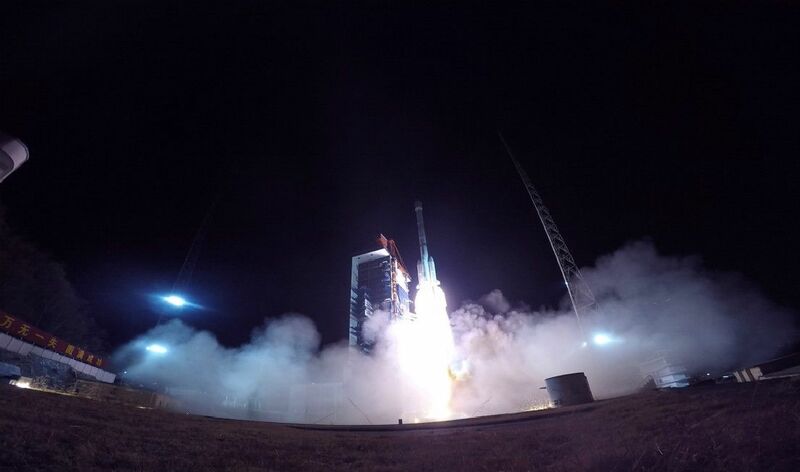 China just hit a rocket launch milestone. Last week, the China National Space Administration launched its 300th Long March rocket mission, successfully placing the new communications satellite ChinaSat 6C into orbit. The mission launched March 10 atop a Long March 3B rocket that lifted off from Xichang Satellite Launch Center in China's southwestern Sichuan Province. "This is a milestone for China's space industry development," said Wu Yansheng, board chairman of the China Aerospace Science and Technology Corporation (CASC), in a CASC statement. China's first Long March rocket, the Long March 1, launched on April 24, 1970 carrying the country's first satellite, Dongfanghong-1, according to the state-run Xinhua news service. That first booster could launch up to 661 lbs. (300 kilograms) into orbit.